It ebay, everyone knows this site by now. Most of you have probably all ready bought something from Ebay. But still it needs to be said that ebay is a great source for finding good gear without spending too much. 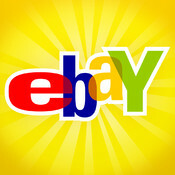 You can often even do a trade with ebay, I often like to look at the closest ebay ads to find what is in my town and some times I have even been able to contact the sellers to set up a trade, you can do this as well. There is not much else to be said. Read below for my tips. Research EVERYTHING - Ebayer will lie to you about features and even the brand of a guitar or amp. Snipe - This is a sneaky tactic but you have absolutely no chance of winning without it. Watch out for heavily inflated shipping fees, people will often sell a good piece of gear dirt cheap but they make up for the items price tag by making you pay a fortune for the shipping.